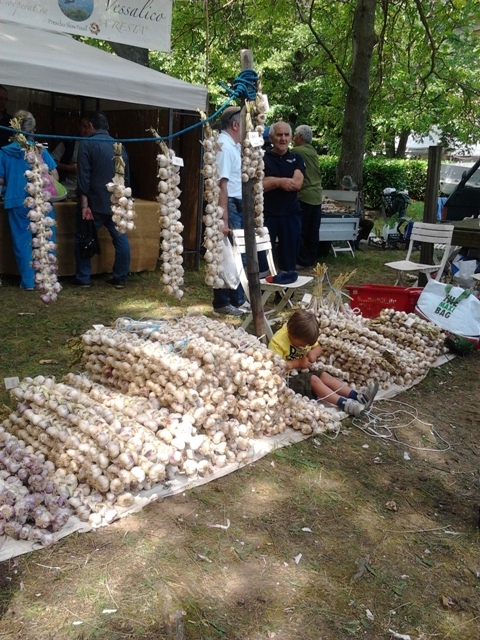 As usual, every year on July the 2nd we go to Vessalico Garlic Fair. 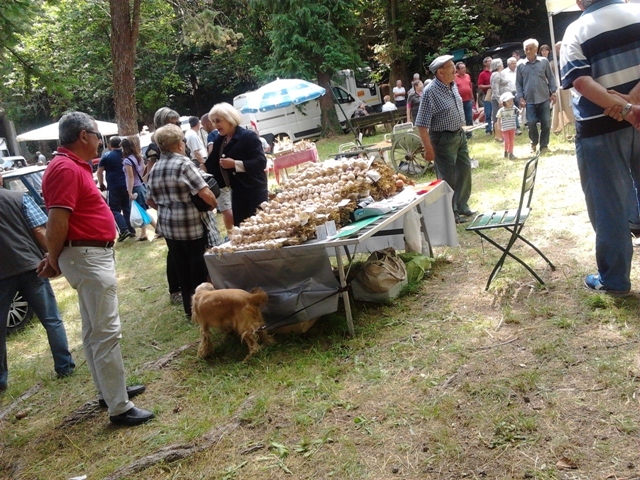 Right here, in this area of the Ligurian hinterland, located in Val d’Arroscia (Imperia), every year there is the typpical “Garlic Fair”. In the park of the town, the Park Canavai, for a day the producers of garlic exhibit the fruits of the earth well prepared, sorted and above all beautifully intertwined. The braids of garlic are a real sight to behold. Garlic of Vessalico is recognized as a Slow Food Presidium and is rich in important properties for our health [despite the smell that may be unpleasant to someone]. 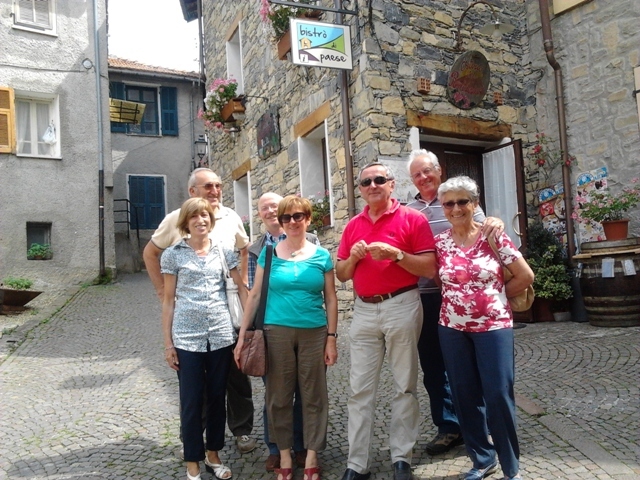 We reach Vessalico with friends passing through Mondovì and down from Colle di Nava, required if you want to go from Piemonte to Liguria. The morning is is usually dedicated to the garlic and to local products. Although this village is not particularly well known, we are surprised by how many people always come here every July the 2nd for the fair. After a pleasant walk to meet the various exhibitors, last year our choice felt on the producer Martini Nino and we stocked up on garlic for the full year! For lunch we usually move from Vessalico towards Alta Val D’Arroscia passing Pieve di Teco and reaching Montegrosso Pian Latte, till ” Osteria del Rododendro”. If you decide to follow our suggestion and go there, you will be greeted by two very kind gentlemen who serve with great professionalism bestowing information on what they serve and the ingredients used by the two chefs, Mrs. Maria Grazia and Mrs. Barbara, that they really know how to cook with the local products. You should not miss the rabbit [a typical ingredient of Ligurian cuisine]; we tasted as a starter in a roll with herbs, and as a main course with olives. But a special mention goes to the spectacular desserts and chestnut ice cream with crispy wafer cherished by drops of honey: a treat indeed! The wine was a pleasant surprise as well: we tasted the local Ormeasco of Pornassio. It ‘s a wine made with grapes from the vine, native and very old. We liked it so much that after lunch the tour ended at the proucer Guglierame for a taste and purchase to take home with garlic.